Since 2001, Water Works Theatre Company has offered the wonderful work of the Bard with Michigan’s best professional and emerging professional artists, in a one-of-a-kind outdoor summer setting at Starr Jaycee Park in Royal Oak. It began as a mid-winter dream and emerged that first August as a moonlit magical moment destined to fill a cultural niche so important to the quality of life in the community. 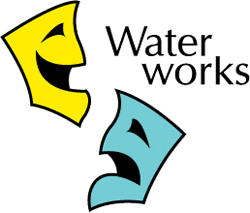 In 2002, Water Works also began to fill an educational niche by offering professional Shakespeare performance training to K through eighth grade students that is not available anywhere else, at the reasonable price and convenient location offered here. 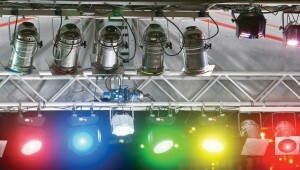 In 2009, we began presenting a second “daylight family show” in rotation with our main Shakespeare play. In 2010 we began Water Works Academy that offered high school students the chance to create their own Shakespeare-based show on our stage. Through the years, Water Works has entertained thousands, and employed hundreds of local artists, many of whom have gone on to succeed in theater, television and film. Also, many of our hundreds of students have gone on to study the craft in college. Some have even returned to us as adults. Water Works has received many accolades from community and state leaders, and has garnered its fair share of artistic awards, too. Most importantly, Water Works continues to create a sustaining movement of artistic and community excellence, thanks to our patrons and sponsors. 1301 W. 13 Mile Rd.